On Canada’s East Coast, the Winters can be cruel; the temperature slips below zero sometime between November and Christmas, and after the snow falls in late December there’s precious little to do but drink, procreate, and idly flick through old issues of CF. My tenure with the magazine ended back in 1995, and as I sift through some of those later issues, it’s almost as if I’m reading words written by somebody else; it’s my name on the strapline, but I’d swear under oath that they aren’t my words at all, your Honour. Despite the addled synapses and rapidly diminishing grey matter, however, there is one particular GameBusters experience from the good old days that is forever etched into my cerebral cortex. The Issue? CF27, affectionately known as Chrizzy Dizzy. The CF production cycle was always something which caused my head to spin every time I tried to make sense of it. CF27, the December 1992 issue, would hit the streets on November 19th. Generally speaking, the magazine was “put to bed” around 2-3 weeks before its release date (to allow for printing and distribution), and with a production time of 3-4 weeks, this meant that the magazine was in full swing by early October. Creatures 2 is a game like no other. At Christmas 1992, Commodore Format delivered a player’s guide to match it. A meticulous planner, I naturally tried to stay ahead of the game; generally speaking, I knew how many pages I had to play with each month, and usually had a good idea of how to fill them. This particular issue was no exception, mainly because I’d been thinking about the Christmas special for the last ten months. Unashamedly, I place the blame for this obsession squarely in the lap of one Trenton Webb. In February 1992, I’d paid a visit to the CF offices, ostensibly to meet the new Editor (Trenton) and Games Editor (James Leach). While carefully assembling CF19’s Cyberdyne Warrior maps late one evening (using a fantastic new-fangled paint program called PhotoShop 2.0), Trenton and I talked at length about the life, GameBusters, and everything. Trent not only understood the importance of a great tips section, he also recognized my passion and dedication; I was committed to making GameBusters the best it could be each month, and Trenton gave me the encouragement and resources to do so; he respected his staff and saw no need to micro-manage or interfere (quite the opposite, in fact: Trent gave me full editorial control over the tips section, and would often fax or mail page proofs to me for a last-minute thumbs-up). It was during that late night PhotoShop session that we hatched a plan to give the recently-released Creatures 2 the V.I.P. treatment. We both adored the idea of a double-sided tips poster, but the budget simply wasn’t there. We could, however, do something equally special and dedicate an entire GameBusters section to Clyde Radcliffe’s latest adventure. However, given the fact that this entailed printing the entire Creatures 2 guide in full colour in a single issue, we would have to wait patiently for the right moment. Then, as luck would have it, CF27 came along. CF was the first magazine to digitally bolt together screenshots so that players could really see a game. By CF27, it was down to a fine art. Understandably, ZZAP! 64 magazine had already pipped CF to the post with their Creatures 2 solution; serialized across three issues, the final instalment appeared a clear month before CF27 hit the streets. However, the driving force was never to focus on what the competition were doing, nor to be first across the finish line; the aim was simply to deliver the best strategy guide possible. Despite having worked on the game with John and Steve Rowlands for the best part of a year (and thus, very familiar with the game’s finer details), there was still much work to be done, not least screen-grabbing the 100+ images to accompany the text (my Amiga-based screenshot system, though pixel-perfect, required all sprite images placed by hand, and thus the process was incredibly time-intensive). There was also the not insignificant question of how to present the solutions for the various Torture Screens; should it be a straight chunk of text, or maybe little boxes with arrows leading to points of interest? There’s a science to strategy guides, and I always tried to make sure that CF’s strategy guides were not only informative, but also easy to use. Ultimately I opted for text-based walkthroughs with annotations at key points; this forced the player to stop playing and consult the guide, breaking the experience down into more manageable chunks (using annotations and arrows would fool the player into thinking they could quickly glance at the solution while they continued playing – in Creatures 2, this would ultimately lead to failure). 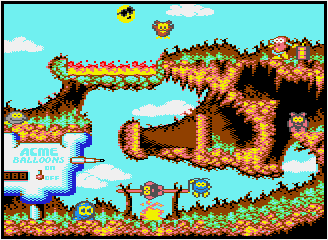 The planning phase also demanded a very long phone conversation with John Rowlands, mainly to confirm point values and discuss the mechanics behind the Interlude Sequences; there was a staggering amount of detail behind the scenes in those stages (from the initial coin delays and intervals, to the aggression and tenacity of the flying enemy which swooped down to grab the poor Fuzzy Wuzzy), and I wanted to ensure that no aspect was overlooked. Andy had access to every last nut and bolt of the game to make the thirteen page special happen. Here’s pretty much everything from the famous – and bloody – interlude screens! 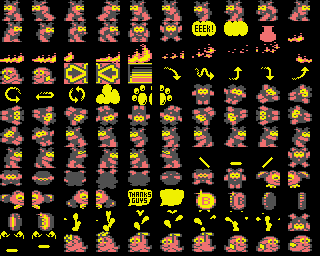 Working part-time with John and Steve Rowlands on their next game (Mayhem in Monsterland) meant that I had roughly half the usual amount of time to put this particular GameBusters section together. I wasn’t too concerned about the impending deadline, however; from previous experience, I knew that I could knuckle-down and get my work done in just a couple of weeks. It’d be intense, but doable. Ironically, ‘intense’ would turn out to be the perfect word to describe the events that subsequently unfolded. I can’t recall the exact date, but I do remember vividly that it was a Tuesday morning. Armed with a plate of toast and a cup of tea, I sat down at the computer ready to face the day. I reached under the desk and flicked the switch on the Amiga’s power supply. I checked cables and fuses, swapped cables, and checked everything again. Click! 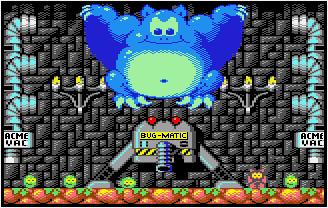 One of the game’s “bouncing fuzzy” interlude screens. The aim’s to get Clyde’s pal from right to left safely – but you can collect coins for extra lives too. My Amiga’s power supply was dead. I called every computer store in town: no spares, and no chance of getting a replacement power supply to me in time to meet the impending deadline. I skimmed Amiga Format’s classified advertisements, with similar luck. My dilemma was very quickly turning into a Yellow Pages commercial. As a last resort, I called a friend to see if he or his umpteen brothers knew of anyone with an Amiga. I was clutching at straws, but straws were all I had. After a quick sweep of the siblings, it turned out that his younger brother had a classmate with an Amiga; better still, he only lived about 5 minutes away. Things were looking up for J. R. Hartley. It took some convincing – in fact, out and out begging – to reassure the kid that I wasn’t going to steal his power supply, break it, or drop it in the bath. Ultimately, I was allowed to borrow the power supply for six hours in exchange for a crisp 20 pound note. I called Trent to update him on the situation; no matter how hard I toiled, there was no way I could cram two weeks’ work into a mere six hours. I slapped my head. Of course! The six hours that followed were a blur; I scrambled to screen-grab all of the remaining graphics I’d need and cobbled all of the relevant files together onto multiple floppy disks, before booking a B&B and reserving my train ticket to Bath for the following morning. At the time, it was all I could do to stop myself having a mild panic attack. In hindsight, wrapping up the guide at the CF offices would prove to be rather fortuitous happenstance. 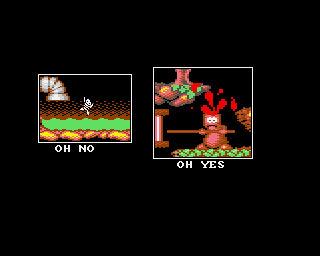 It’s still incredible to think this screen is from a Commodore 64 game. This is stage 5 from Creatures 2, and like all the shots in this feature it’s the original file used by the CF art department. The next few days were spent sat at a spare desk in the CF office, writing the text for the guide and running downstairs every so often to use the machines in Amiga Power’s office on the floor below. Little by little, the screens, maps, and text were added to the page templates ready for the Designer or Art Editor to swoop in and pretty-up the pages. On the penultimate day, just after lunch, Trenton received a call from Jacki (Garford) in the Advertising Department. Earlier in the week, Trenton and I had settled on a page layout which we thought would work well; although some of the pages would be black and white, the crucial ones would be in colour. Additionally, Trenton was working hard to jiggle the pages around in the Flat Plan to avoid having too many advertisements breaking up the flow. However, with extra pages on the cards, all that was set to change. An hour later, Trent got another call: Jackie had sold even more ads, adding more pages – and colour – to the magazine (and more importantly, allowing us to expand the GameBusters section even further). Had I not been in the office that week, I’m pretty sure those pages would have been allocated elsewhere. By the end of the afternoon, Trent had received a further three calls from Jackie. The page count for the magazine had increased to 82 pages, and the Flat Plan had been tweaked at least half a dozen times. Trenton and I were able to eventually settle on a layout that, just a few short days ago, would have seemed impossible. The result of all that hard work was reflected in the layout of the final guide: 13 continuous colour pages, with no adverts or black & white pages breaking up the flow. Unprecedented, for the time, and something which most people would never notice. Looking back 22 years later, the guide is packed with meticulous attention to detail that I’d long since forgotten; from the deliberate placement of the Bonus Coins on the Interlude Screens, to the captions between the Hidden Bonus Rooms that tell players which direction to yank the joystick, to the carefully-chosen enemy names (Eddie, the biker on the first Torture Screen, was named after professional cyclist Eddy Merckx), there’s a wealth of detail on every page. Attention to detail. Each torture screen in the CF Creatures 2 guide included a gruesome grab of what happens if you get the game right…or wrong! Additionally, little flourishes such as the Oh Yes! / Oh No! box-outs – a stark reminder of what success or failure might look like – added an extra layer of detail which, while not essential to the solution, added a little extra flair to the pages and exemplified the kind of respect for the reader that Future tried to embody on every page. And as for Creatures 2? 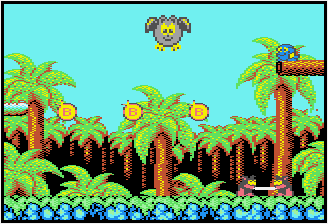 Writing this retrospective certainly rekindled my love for what is not only one of Apex’s finest games, but also one of the most polished and well-rounded experiences to be had on the Commodore 64. From the intricate, hand-animated snowflakes, to the massive, imposing demons, it’s a quintessential gaming experience. Why not give it a whirl? EXCLUSIVE: See the letters and notes John and Steve Rowlands sent to Andy Roberts to help with the guide. Never been seen before! EXCLUSIVE: See the box out graphics from the guide exactly as they were sent to the CF art department. Never seen before! EXCLUSIVE: See every screen from the game exactly as it was sent to CF and used in the mag! 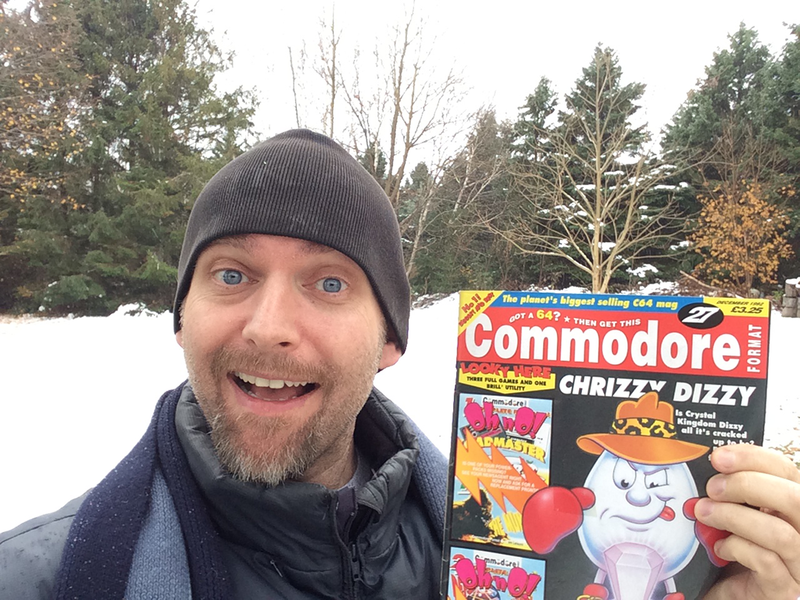 Commodore Format reader Daniel sent us this amazing response after reading this piece. You won’t believe what he did just to play Creatures 2!